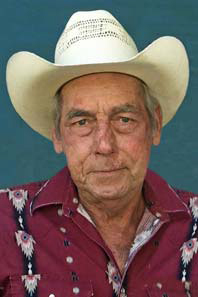 Graveside Services are scheduled at 10 a.m. Saturday, Aug. 1, at Hagerman Cemetery for Joe L. Johnson of Artesia. Mr. Johnson, 69, died Saturday, July 18, 2015, at his home. Johnson. He was a longtime resident. In 1981 he was married to Chere LaRue in Artesia. He was a warehouse manager for Dynamic Heating & Cooling. He retired from the oil field in 2007. He loved woodworking, playing poker, fishing, camping and hanging out with his grandchildren and his family. Survivors include his wife Chere Johnson of Artesia; sons Joey Davis of Arkansas and Josh Johnson of Artesia; daughters Stephanie Lee of Arizona and Catherine Cevela of Arkansas; step-daughter Lori Goldstein of Artesia; brothers H. Randall Johnson and wife Betty of Artesia, Roy Dale Moreau and wife Vickie of Carlsbad, George Charles Moreau and wife Frances of Artesia and Jimmy Allen Moreau and wife Pam of Artesia; sisters Pat Lowenstein and husband Larry of San Antonio, Texas, Mary Kay McCollum and husband Randy of Artesia and Sharon Squier and husband Larry of Lubbock, Texas; sister-in-law Mary Johnson of Artesia; grandchildren Robin Cook, Tommy Davis, Samantha Janes, Vina Goodner, Zach Reid, Tyler Johnson, Ashley Reid, Stevie Gamble, Joseph Banks, Shawne Standard and Amber Klontz and numerous great-grandchildren, nieces and nephews. He was preceded in death by his parents, step-father Roy George Moreau, brother Charles Wesley Johnson and grandson Eric Cook. Arrangements have been entrusted to Terpening & Son Mortuary. Please express condolences at http://www.artesiafunerals.